Summer tour only. Available from mid May to October. 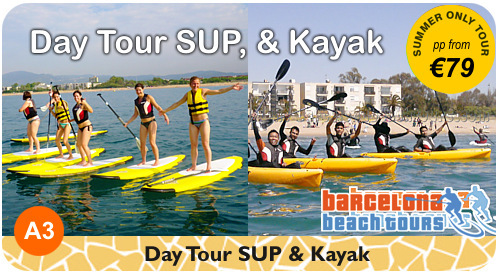 This beach tour includes SUP paddle board rentals and classes, kayak rentals and classes, transport in air-conditioned minivan, local guide, photos, 2 bottles water per person..
Fun half day trip to peaceful and clean Gava Mar beach near Barcelona, where you will learn SUP stand-up paddle boarding and kayaking in hobie-kayaks. 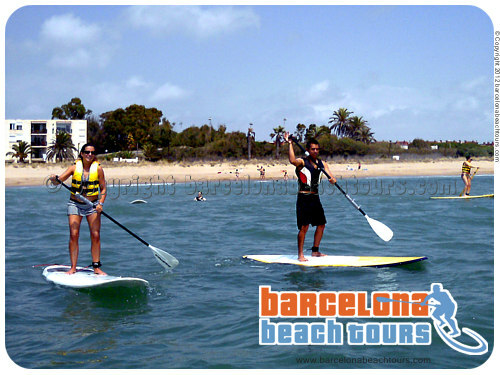 (wIndsurfing and Hobie Cat sailing are optional.) 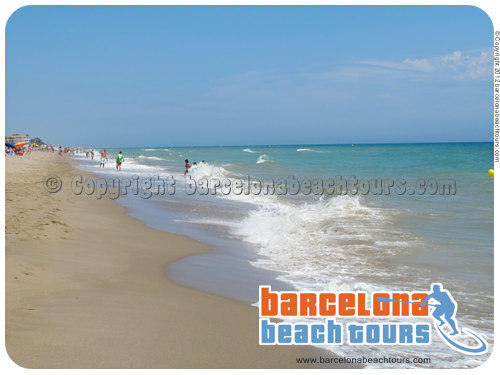 Our beach guide will pick you up in Barcelona at your hotel or apartment and drive you to Gavamar beach just south of Barcelona, where you will spend 4-5 fun hours on the water and on the beach before being taken back to your hotel or apartment. Meals are not included. You buy light meals at the nearby beach cafe. This tour is available from around mid May to end September. 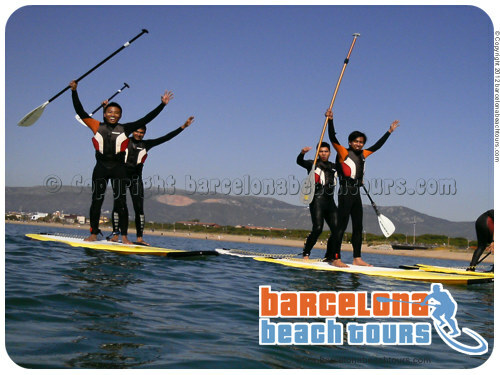 These are real photos taken by our guides on this Barcelona beach tour. 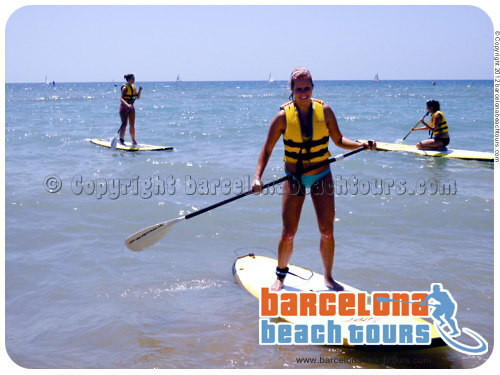 SUP paddle board surfing is a fun activity that all ages can learn. 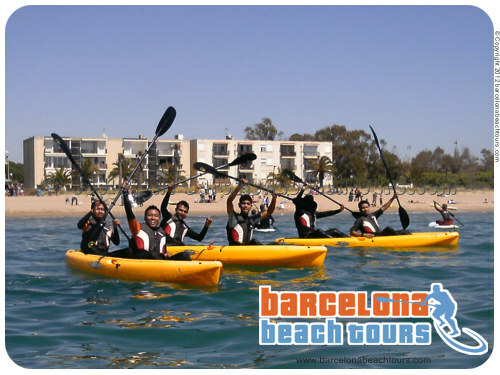 Classes and rental are included in this beach tour. 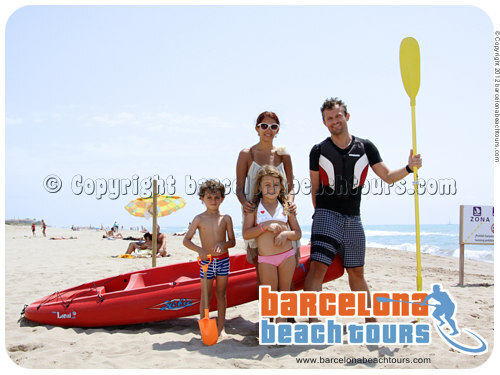 Kayak are easy to learn and great for groups, families or couples.